When shopping for a replacement convertible top you’ll need to decide whether or not to purchase new convertible top side tension cables or reuse the ones from your old top. Side tension cables are part of the apparatus that raises and lowers your convertible top smoothly. They help keep the top tight and centered on your vehicle, with the top straight and flush over the windows. They also keep the top from shrinking side to side. You can reuse your existing convertible top side tension cables when you are replacing the top itself as long as they are not damaged. The most obvious way that cables are damaged is if they are broken. The other frequent way they are damaged is from moisture (from water or snow) which has caused corrosion, requiring you to replace the cables. Without removing your top and checking the cables you can use this checklist to determine if your cables are likely in need of replacement? Does the top show signs of water damage? Does any exposed metal show signs of corrosion? Is your convertible top sagging? Is your convertible top leaning to one side? Is your convertible top not flush and smooth against the windows? Is your convertible top hanging down? Is your convertible top not going up or down smoothly? Does one side of your convertible top get ahead of the other when putting the top up or down? If you answered YES to any of these questions, then you probably will need to replace your convertible top side tension cables. Most convertibles use side tension cables, which have a front and rear attachment, but some models use rear cables or rear quarter and rear flap cables. When you shop for your car’s make/model/year on TopsOnline, the appropriate type of cable will be found on the page, so there isn’t risk of making a mistake. If you are ordering a convertible top and still aren’t sure whether you need cables or not, you may want to err on the side of caution; it’s better to order them and find out you didn’t need them, than to not order them and later wish you had, causing a delay in your new convertible top installation. 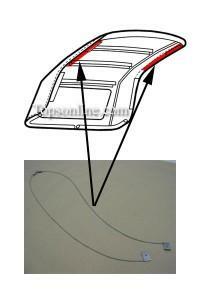 Cables are relatively inexpensive and they are also easy to return. Most installers will ask you to order cables with your new replacement top, as a standard procedure. 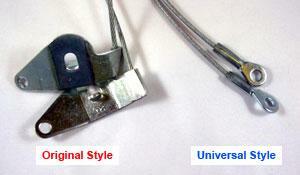 If you still have questions about convertible top cables, then we would be happy to help. 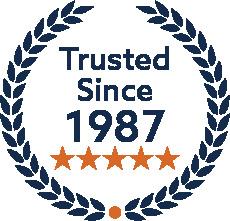 With experience in this business since 1987, we likely have the answers you are looking for and we would be happy to help you out. Give us a call at 1-888-803-8505 or email our customer service team. Shop our convertible tops now.